2008-2011 & 2018 MNO Fishing Challenge Champ! 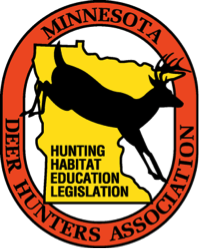 Q: When is it legal to hunt or harvest antler sheds in Minnesota? A: Minnesota Statute 97B.22 allows for the taking and possession of naturally shed antlers, but also forbids any person from placing, arranging, or setting equipment in a manner that is likely to artificially pull, sever, or otherwise cause antlers of live deer, moose, elk or caribou to be shed or removed. Minnesota does not have a designated time frame in which the sheds can be taken. The important thing to remember is that in order to take or possess these antlers they must be naturally shed. If they are acquired any other way, including from roadkill, a permit must be acquired. Proud Member of the CWCS. Member of Walleyes For Tomorrow. dang that was from a dandy animal!!!! a bad day of fishing is still better than a good day at work!! Glenn could put a handle on it and use it as one of those 'sketti grabbers! No kidding that was a Trophy even to DE's standards. Cut out a chunk of tire with it and hang it in the living room. That would stink Dotch, but who needs a shed finding pooch when that tire is dialed in!! Page created in 6.368 seconds with 48 queries.